HOME Affairs didn’t verify the Guptas’ documents while they were processing their papers for visas. Home Affairs official Norman Ramashia, who deals with appeals, admitted this yesterday in parliament during the second day of the inquiry into the Guptas’ early naturalisation. Ramashia said he didn’t check the representations former Sahara COO Ashu Chawla made on behalf of Ajay Gupta’s wife and mother when their application was rejected. He said after looking at the Gupta appeal letter, Home Affairs thought the money the family contributed to the country was comforting but no one verified their claims of investing R25 billion and making donations to schools. The Guptas claimed to be making donations to 77 North West schools. The committee wants Chawla to testify but his lawyers said he is in India until the end of November. Chawla was central to organising hundreds of permits and visas on behalf of the Guptas. Another witness, Cornelius Christians, a commissioner in India who dealt with the Guptas, told parliament he knows their agent. 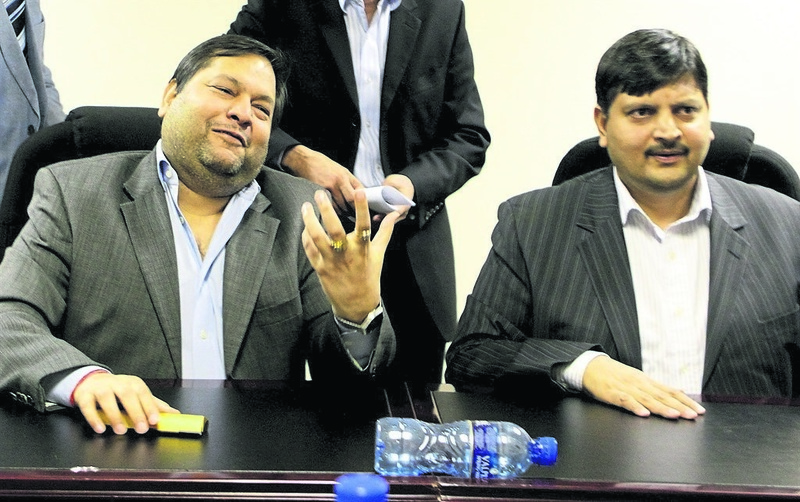 He said it was normal to fast forward visas and not only a privilege for the Guptas. “In quick turnaround cases, it is normal to organise them for all businesses,” Christians said. Committee chairman Hlomani Chauke said the irregularity that ruined the Gupta applications was caused by officials’ due diligence failure. Home Affairs Minister Malusi Gigaba was expected to testify yesterday.